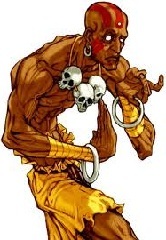 Originally a very odd and slow character in the mythic Street Fighter II, he was one of the very first “fireball throwers” of the fighting games history. With a simple design and a cool story (more rich through games), he wins a lot of fans. 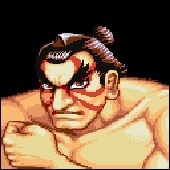 Sadly dissapears in SFIII saga, but is a solid character now, not only for his unique style and updated speed, because his pacific and tranquil mood. 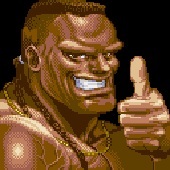 We are lucky for counting on him again in SFIV (selected by high level gamers), and now with the ultimate crossover in SFxTK… teaming up with Sagat in a honoured mission! I love this guy. 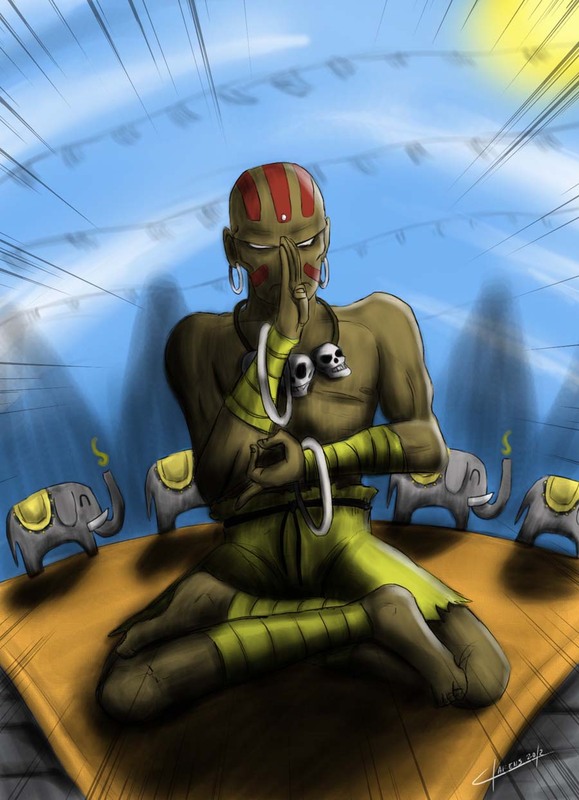 From the very best I want to saw in the picture a very quiet and relaxed Dhalsim, better in a dedicated background (with something fun on it). For a more transcendant mood, I want to make some shadow/light effect, to make contrast with his white and misterious eyes. 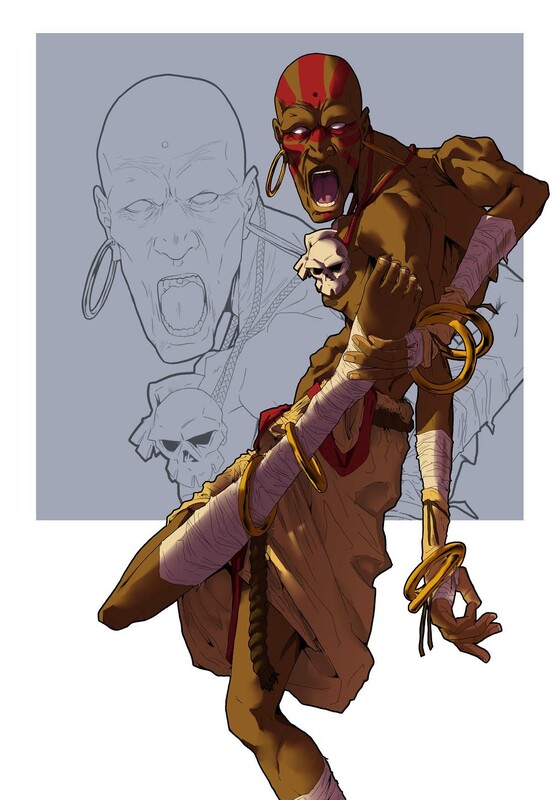 Dhalsim always was one of my favourite characters, and I was very happy when I can pick him for the tribute. Hope you like this piece of a very veteran fighter, the coolest Indian representant!